The world’s first and Best waterproof cell phone was named as DIGNO, and it was introduced by the Japanese electronics and ceramic manufacture company called, Kyocera. There is nothing unusual about this technology at the present digital world. This new waterproof smartphone was launched in December 2015 in Japan. 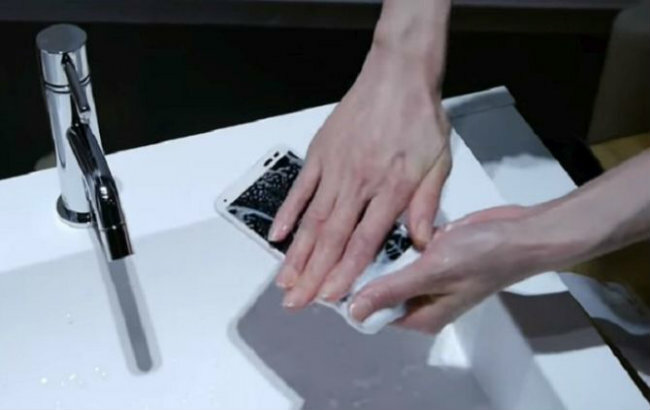 Let us see about the feature of this soap-proof washable smartphone. The company used new technology to prevent the speakers of the phone from the wet and also invented new technology for the particular touch screen. So what phone is waterproof? DIGNO rafre KYV36 is a name of this smartphone model. You can able to use this phone while you are taking a hot bath. Yup..! It is warm water resist. There is no need for any waterproof phone cases. The scratch-healing material was used as a coat on the back face of the phone. This is one of the best mobiles for people who are searching for waterproof coating for a phone. DIGNO rafre have a featured specification; it works with Android 5.1 (Lollipop) Operating System with MSM8916 1.2GHz Quad-Core CPU processor. Snap it with 13MP rear camera and capacity of the battery is 3,000mAh. The connectivity functions such as Wi-Fi, Bluetooth, 3G, and 4G included. This smartphone was available in three different colors: Coral Pink, Cashmere White, and Marine Navy. This smartphone was placed in the World Record Academy. DIGNO rafre was now available only in Japan for around $460, and it will be introduced to other countries as soon as possible with the local business success. The company was founded in 1959 as Kyoto Ceramic Company, Ltd and renamed as Kyocera Corporation in 1982. The company headquarters located in Kyoto, Japan. The company was manufactured some of the electronics components for the solar system, medical, dental, telecommunications, industrial ceramics, and much more equipment. Is my Phone Waterproof Resistant? Probably, not every phone in the world is water resistant. IPX5 is referred to the protection against jetting water from any direction. IPX8 is applied to the protection against continuous immersion in water over 3 feet such as pool and lake. IP5X is referred to the protection against dust, and the test was conducted with or without under pressure. Totally there were 16 IP trials, for various production conditions. Example, IPX2 is referred to the protection against vertically dripping on water. If you are searching for a best waterproof phone long time, then this is made for you. It will be available on the world market soon in few months. Share and comment, if you think this best waterproof cell phone will make a huge impact in the tech market.